The Conspicuous Leadership Star, post-nominal letters CLS, was instituted by the President of the Republic of South Africa in April 1996. It was awarded to veteran cadres of Umkhonto we Sizwe, the military wing of the African National Congress, who have distinguished themselves during the "struggle" by distinguished conduct and exceptional combat leadership. 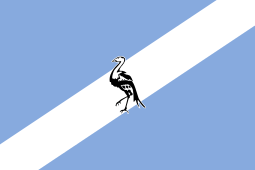 Umkhonto we Sizwe, abbreviated as MK, Zulu for "Spear of the Nation", was the para-military wing of the African National Congress (ANC). 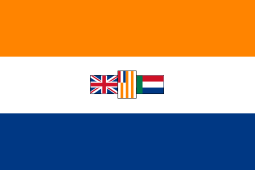 It was established on 16 December 1961 to wage an armed "struggle" against the Nationalist government inside South Africa. On 27 April 1994, Umkhonto we Sizwe was amalgamated with six other military forces into the South African National Defence Force (SANDF). The Conspicuous Leadership Star, post-nominal letters CLS, was instituted by the President of South Africa in April 1996. It is the junior award of a set of three decorations for bravery, along with the Star for Bravery in Gold and the Star for Bravery in Silver. Umkhonto we Sizwe's military decorations and medals were modeled on those of the South African Defence Force and these three decorations are the approximate equivalents of, respectively, the Honoris Crux Gold, the Honoris Crux (1975) and the Pro Virtute Decoration. The decoration could be awarded to veteran cadres of Umkhonto we Sizwe who have distinguished themselves during the "struggle" by distinguished conduct and exceptional combat leadership. The position of the Conspicuous Leadership Star in the official military and national orders of precedence was revised upon the institution of a new set of honours on 27 April 2003, but it remained unchanged. Preceded by the Star for Bravery in Silver (SBS). Succeeded by the Decoration for Merit in Gold (DMG). 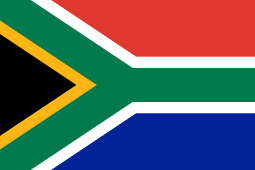 Preceded by the Pro Merito Decoration (PMD) of the Republic of South Africa. Succeeded by the Star for Conspicuous Leadership (SCL) of the Azanian People's Liberation Army. The Conspicuous Leadership Star is a five-pointed star, struck in bronze, to fit inside a circle with a diameter of 38 millimetres, displaying a bronze lion on a ruby red enameled centre roundel. The ribbon is 32 millimetres wide and red, with two 6 millimetres wide brown bands in the centre, spaced 4 millimetres apart. Conferment of the Conspicuous Leadership Star was discontinued upon the institution of a new set of honours on 27 April 2003. ↑ "Manifesto of Umkhonto we Sizwe". African National Congress. 16 December 1961. Archived from the original on 17 December 2006. Retrieved 2006-12-30. 1 2 Presidential Warrant by the President of the Republic of South Africa for the Institution of Honours for Bravery in the South African National Defence Force, Gazette no. 25213 dated 25 July 2003.